30mm nylon/silicon carbide abrasive filaments and diamond-impregnated filament for long life. Dense filament concentration & excellent flexibility. Color coded grit sequences w/stamped grit numbers for easy identification. 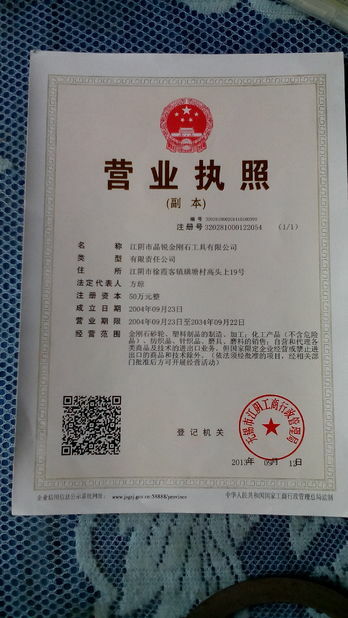 Easy for using on Automatice Polishing Line. Used to produce the ageing (antique) finish on the marble and granite slab. Wide range of grain makes it possible to achieve from an opaque finishing to a mirror polishing. Begin with the metal diamond abrasive, make sure to remove all cutting marks, if any cut marks / drags were left on the stone, you will be able to see them in the finish. Then follow with the wire brush. 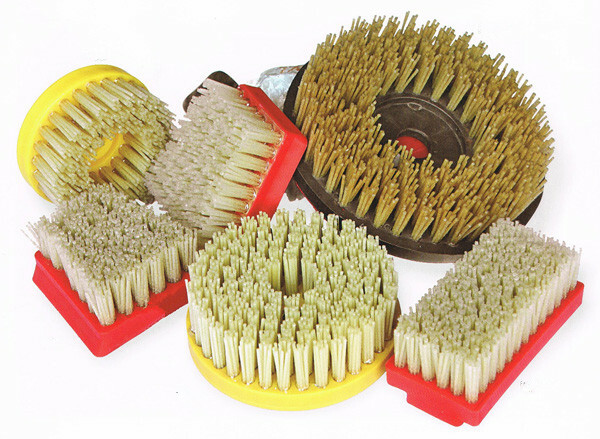 For Granites and hard type stones – The Diamond wire brush will speed the process; these are very aggressive brushes. 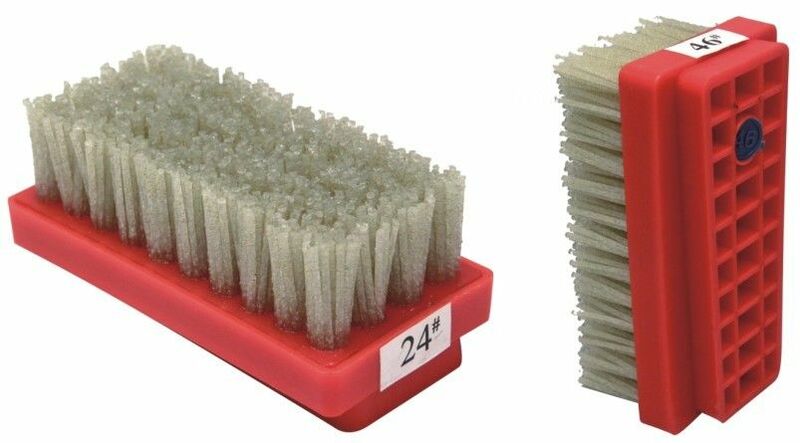 Diamond wire brushes are available in (36, 46, 60) all 3 types are not required in a sequence, it’s all depending the stones hardness and to the effect desired in the end finish. But in most cases with the Diamond wire brushes on granite, the more cycles, the deeper the texture. For Marbles the Diamond wire brushes may be too aggressive,Now use the 36 Antique abrasive brushes,this step will determine the finish look,Follow with the 46,60#,80#,120#,180#,240#,320#,At this stage the slab will look medium colored like a honed look and should have good texture.Pressure on Brushes should be low, maybe 1/2 bar or less, light. Pressure will do nothing but wear the brushes faster.